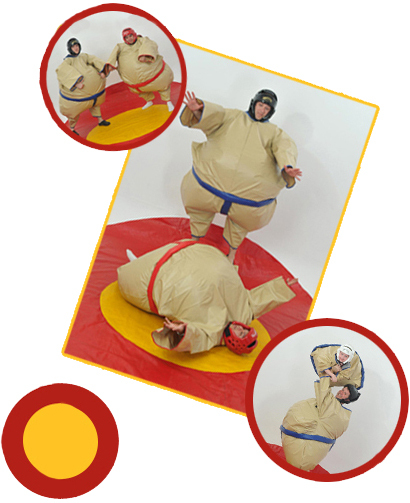 We Rent and Ship Sumo Wrestling Suits to your door anywhere in the United States, no need to look further. With a Flat rate that includes roundtrip shipping $375.00 is all you pay, no hidden fees. At Main Event Entertainment Our number one goal is assisting you in having a successful, fun, worry-free event. By focusing on customer service, we are sure your needs will be met. give us a call at (866) 203-9451 or email us at support@maineventweb.com. If you have any questions, let us know, as we are at your service.